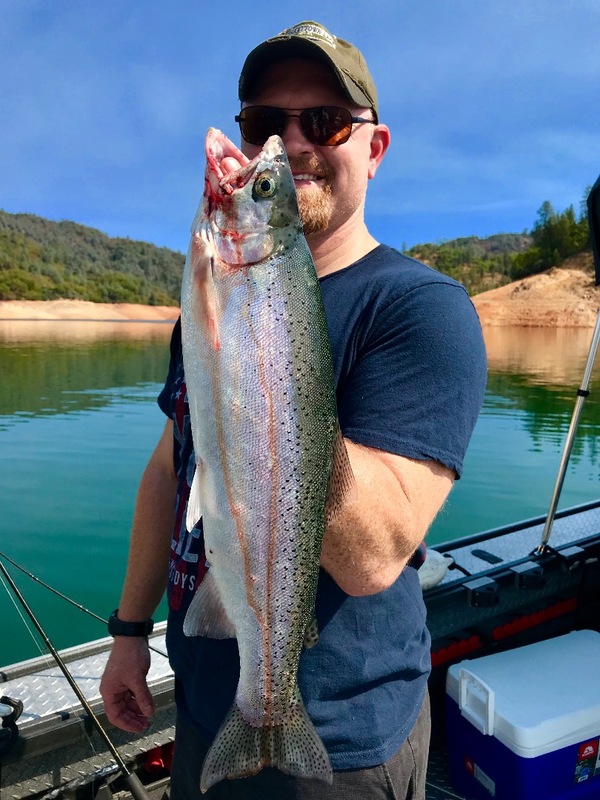 We're catching some really nice rainbows on Shasta right now, but you have to stay on top of where they are holding to be successful! 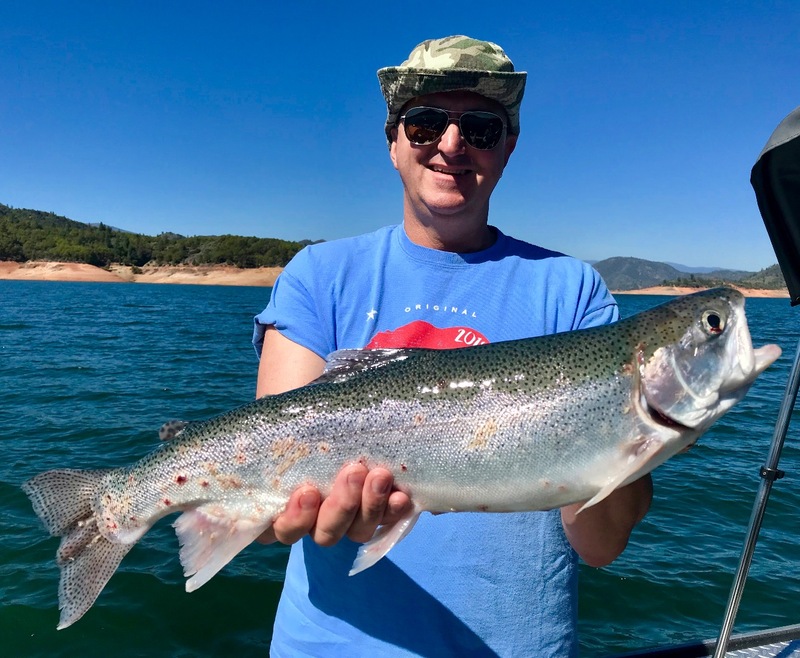 Today we fished Shasta Lake again and, like yesterday, hooked some good trout! With the big moon last night, we saw our best fishng in the latter half of the day for the bigger fish. We finally had the massive, line peeling takedowns I'm accustomed to today and we went 2/3 on those big bites. These last few reports have been good, but its getting tougher to find the concentrations of trout. The bait is present in abundace and the trout just don't need to work very hard for their food right now. Shasta Lake trout still holding down deep. 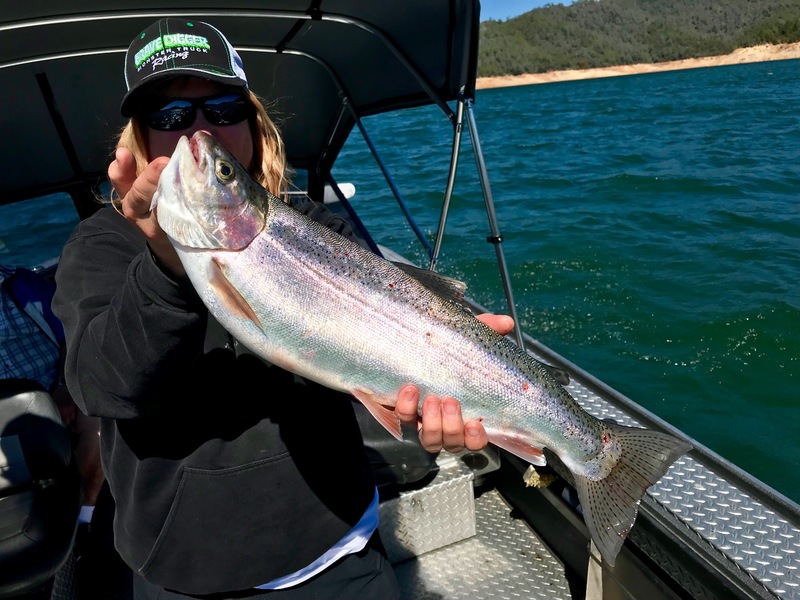 Shasta lake sees fall trout pattern.